The DSITM Emerged from the Charitable trust (Devender Singh Educational Trust), is an autonomous, self supporting institution started in the year 2008-09 with administrative and Technical approval from AICTE, New Delhi and Uttar Pradesh Technical University, Lucknow. by U. P. Technical Unversity, Lucknow. to arrange for placement opportunities on the campus. B. Tech | M.B.A | Polytech. The air conditioned computer centre, trains the students, in the use of computer as a tool for working on information in the latest corporate environment. The computer laboratory are fully networked with the latest software. 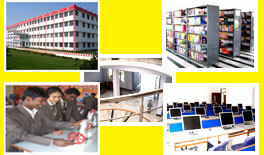 The centre has 24 hour Internet connectivity facility. We have a dedicated radio link facilitating uninterrupted connectivity at the constant speed of 512 kbps. There are 60 HP core to duo processor system in our Internet lab. The department of computer science designs, guides and coordinates the curriculum of two branches, Computer Science Engineering and Information Technology. Making a good student responsible to guide a group of weak students in doing and evaluating assignment under guidance of faculty. Involving students in taking classes on selected topics. Conducting open question and answer session periodically. Co-opting students to help faculty members in research Work. The Department of Applied Science and Humanities, Imparts instruction to students of various engineering discipline and caters to their needs in the areas of mathematics, Physics, Chemistry and professional Communication.